The 29-year-old can face Inverness CT with his ban now set to be served in the league. Hearts have received a boost after fixture rescheduling freed up Ryan Stevenson to play in their League Cup semi-final with Inverness Caledonian Thistle. 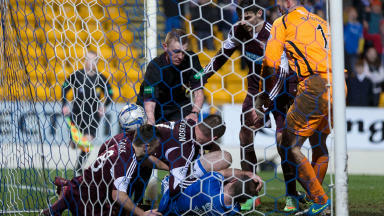 The 29-year-old is due to serve a two-match suspension after being sent off in his side's weekend draw with St Johnstone. Stevenson was set to miss the league match at Ross County on Saturday, followed by the last four clash at Easter Road on Februrary 2. Hearts were due to face St Mirren on February 1 in the Scottish Premiership, only for that game to be postponed because of the cup tie. That fixture has now been brought forward to Wednesday, January 29, meaning Stevenson is now free to play in the League Cup after missing the game with the Buddies. 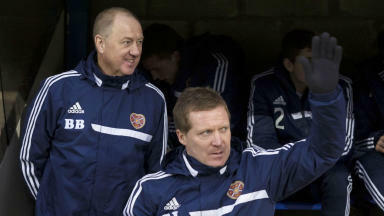 "I'm delighted that St Mirren have kindly agreed to rearrange that fixture," Hearts boss Gary Locke told the club's official website. "It's not ideal in as much as we've got a game four or five days before the semi-final. But at the end of the day, it's great that we've got Ryan available for such a big game." 20 Jan 2014 The Big Call: Should Mannus and Stevenson have seen red in Perth?